If Konami ever mishandled one of their great franchises, the winner of that dubious award would be Contra. With the brilliance of downright classics like Contra III, Super C, and Hard Corps, it’s unfathomable how that could all go wrong. It did though… very, very wrong. With the upcoming Hard Corps Uprising, a Contra game that doesn’t even have “Contra” in the title, let’s look back on some of the games that likely caused that title elimination. After the rousing success of Contra and Super C, the NES translations of these epic arcade games only seemed to be getting better, but then Contra Force happened. This NES exclusive is so bad it’s making a mockery of the series, ditching that fast-paced action for a bit of a tactical approach, four characters with specific attributes. Ah, you say, Hard Corps on the Genesis did something similar and it worked, right? You’d be correct, but Hard Corps didn’t slow down every time more than one enemy appeared, level design didn’t condemn you to death because the screen didn’t scroll fast enough, and the jumping was actually precise. In other words, the only way this is Contra is because you shoot stuff. There’s an arcade in the jungle level of this 3D platform shooter, housing Konami classics like Gyruss and such. Why does that matter? Because those emulated classics are far more enjoyable than this clunker. Taking Contra out of 2D entirely seems like a mistake because it is, the pseudo top down view completely unreliable and the visuals so atrocious picking out enemies is more challenging than shooting them. The 3D glasses packed inside mean yes, you can play this in red/blue action with a friend, yet doing so only makes it more unplayable than before. A follow-up to Legacy of War, the first level sort of gets it right. The visuals are clunky, sure. Jumping isn’t quite as precise as it should be, admittedly. 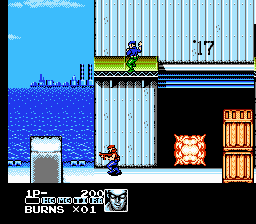 But, this is in 2D, the pacing is about right, the boss fights are hard, the spread gun is awesome, and the music is remixed right out of Contra III! Awesome! Oh, wait… no, they mucked it up. The next level is a full on third-person shooter with a hideous fog effect, atrocious controls, and visuals that barely rise above Legacy. To further the pain, the overhead levels are even clunkier. Hey, at least there’s a level select cheat so you can only select the 2D levels. It’s a portable version of Contra III, like one of the greatest action games ever. What could wrong? Hard Corps levels. 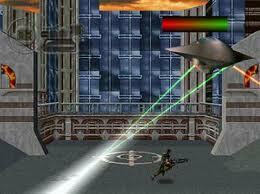 See, Contra III had these sort of cool overhead stages that utilized the rotation capabilities of the SNES at the time. 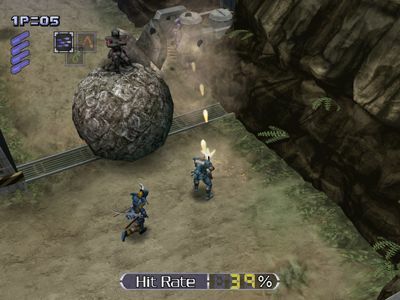 The Game Boy Advance could do the same, but for some reason, Konami nixed them from this port. 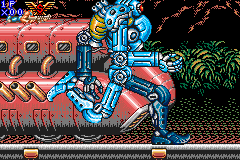 What was inserted were levels from the Genesis title Hard Corps, designs that don’t even fit the mechanics of Contra III, let alone the visuals. Going from one stage of mind-blowing 256 colors to something constrained to 64 (no, they didn’t even touch them up) is pretty blatant, not to mention a lazy solution. 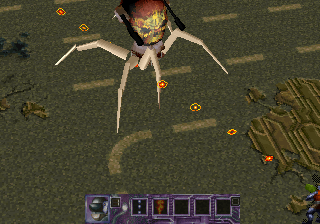 In retrospect, Neo Contra wasn’t awful (at least not Contra Force awful), but what a missed opportunity. A follow-up to the insanely difficult but respectful-to-the-source Shattered Soldier, Neo yet again ditches that 2D side view for something different… isometric play. Why? The end result feels sort of like those overhead levels in Contra III, and the pacing is about right, but the move takes away a lot of movement. You’re sucked into a lock-on system to shoot some stuff down, a distraction from the stuff right in front of you, taking away a lot of the satisfaction generated from blasting stuff on your own. The less said for the secondary samurai character the better. Konami releases their second Yu-Gi-Oh title to XBLA for $10.